Your comfort is our passion and pride. With over 15 years of experience in dentistry, Dr Mathew Elias, established Smile ConfiDENTAL’s Strathfield location in 2012. After working with other public health and government dental clinics, Dr Elias desired to establish his own private practice. 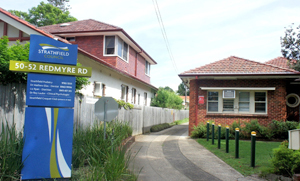 He enjoys helping those in Strathfield Homebush, Burwood achieve excellent oral health in a comfortable environment. As a dentist and an artist, Dr Elias implements science as well as art in each service that he provides. Committed to pursuing ongoing continuing education, Dr Elias utilises modern devices and procedures in his manner of patient care. We use state-of-the-art diagnostic and treatment equipment and technology to ensure a pain-free and relaxed dental experience. We provide patients with a care plan that is personalised to them individually. We encourage proactive and preventative dental care that limits the impact certain oral diseases can have on your future smile. If you need a dentist for your family, contact us today! New patients are always welcome, and we’ll be sure to address any specific concerns that you may have.